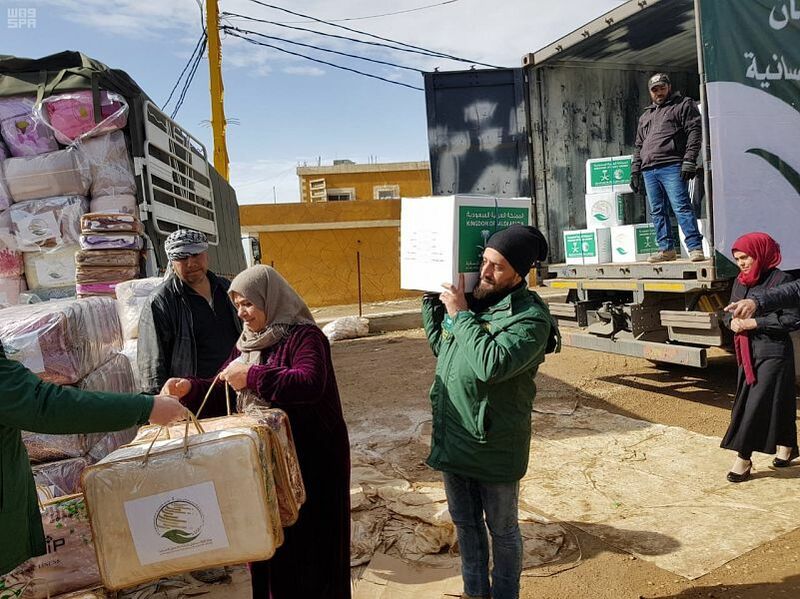 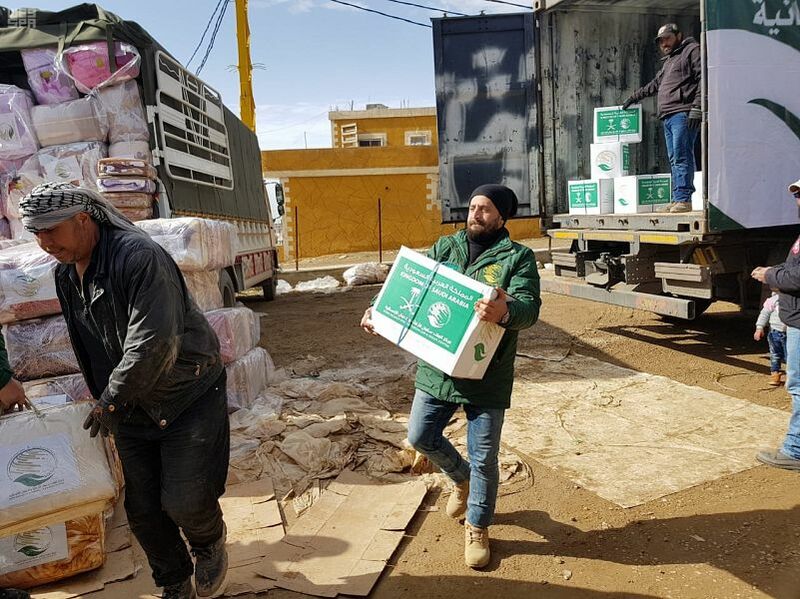 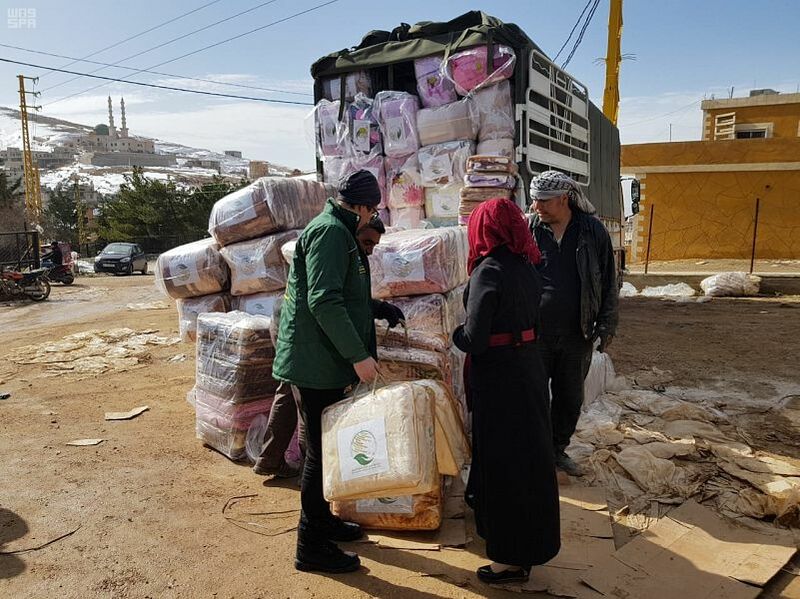 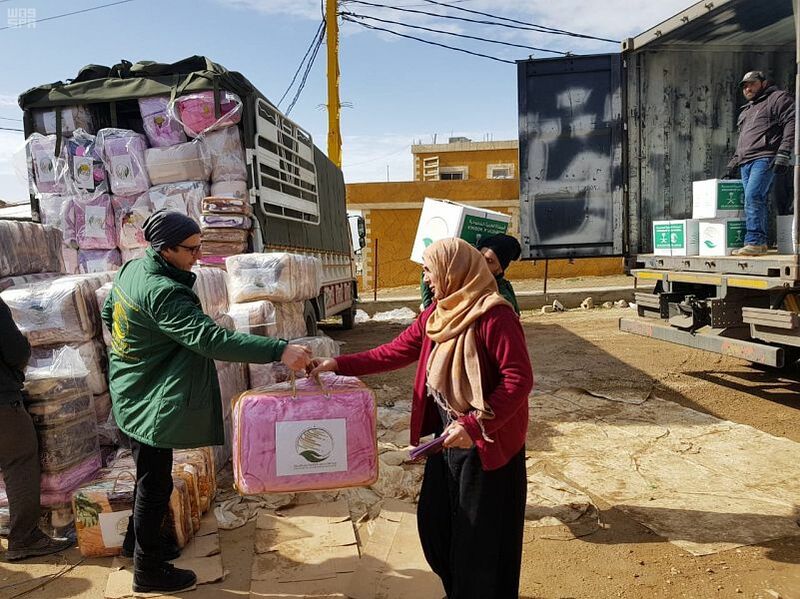 A team and a number of volunteers from King Salman Humanitarian Aid and Relief Center (KSrelief) today continued distributing 717 food baskets , and 1434 blankets for Syrian refugees in the town of Arsal of Beqaa governorate, Lebanon, benefiting 717 Syrian families. 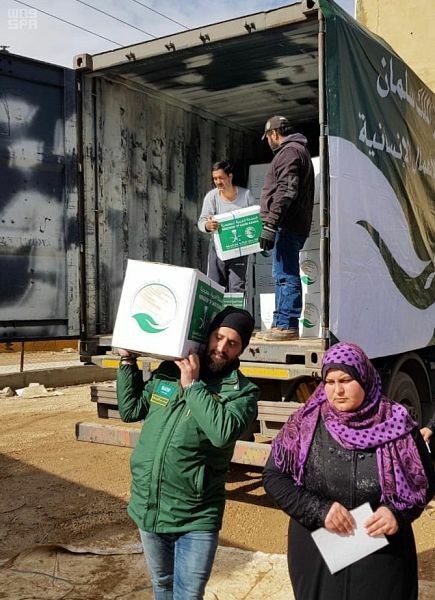 These efforts come within the framework of the Kingdom of Saudi Arabia's aid, represented by the Center, to alleviate the suffering of the Syrian people. 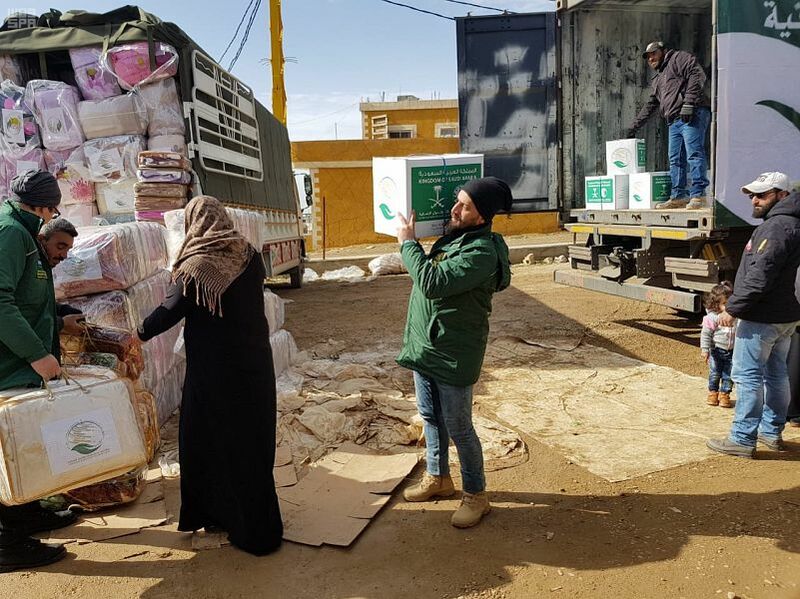 The Center’s volunteering teams participate in achieving the Kingdom's Vision 2030, which seeks to pay attention to volunteering in the field of humanitarian action.